You are at the “heliades apartments”. 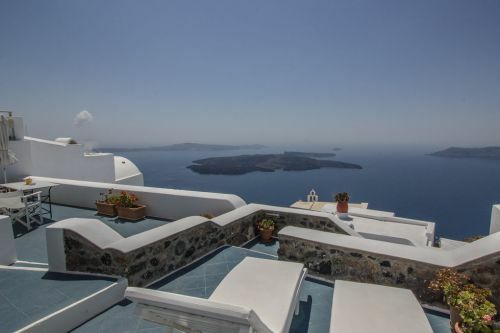 Perched on top of the santorinian caldera, about 300 meters over the deep blue Aegean waters and the wild beauty of the mystic volcano. 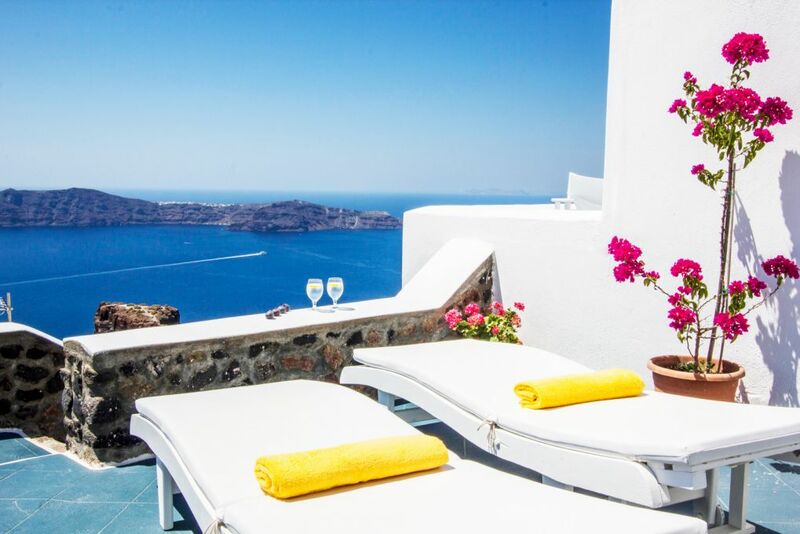 “Heliades” the daughters of Apollo (god of the Sun), as mentioned in Greek mythology, invite you to feel this special sense of space and enjoy the most romantic sunset in the world from your terrace …. 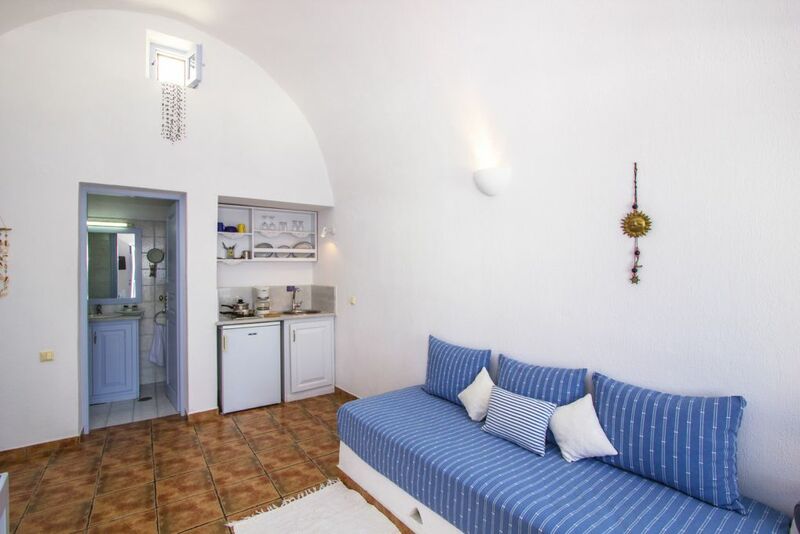 In a quiet stone-paved alley of the traditional village of Imerovigli , we have created this accommodation with special care and respect to the traditional Cycladic architecture. 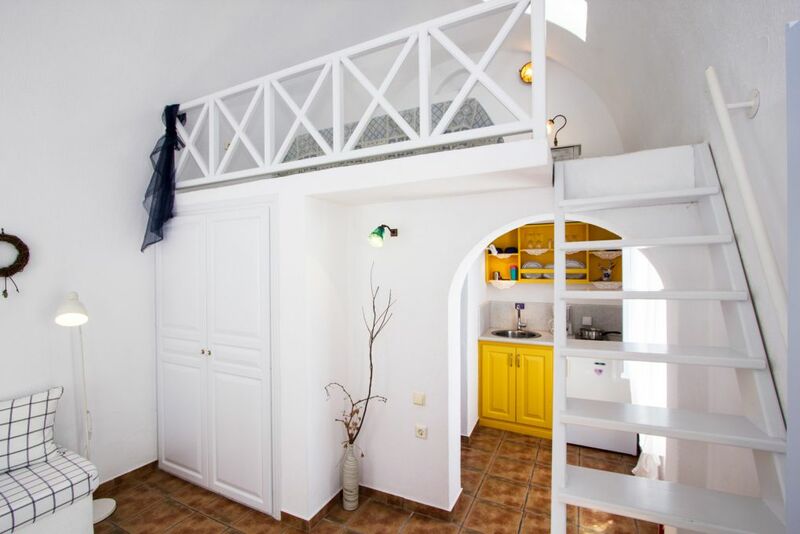 Heliades apartments are situaded in the exact location of where our grandparents’ old house used to be, maintaining some of its initial elements, such as the stone stairs of the courtyard and the cave houses, standing there for over 150 years.